John Lucas left Chicago to pursue his dream of playing professional basketball, chasing it as far as Billings, Montana. But these days he is back home. 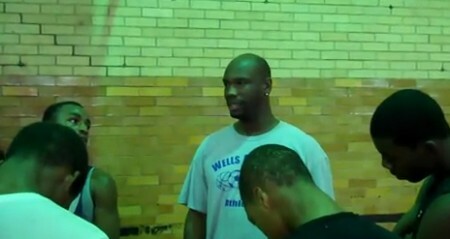 Back where he belongs, coaching the boys' basketball team at his alma mater, Wells Community Academy High School. Given a choice, he says, he would be "no other place but Wells." The Raiders have been glad to have him. After going 12-13 last year in Lucas' first season as head coach, the team is 13-4 and fighting near the top of the Chicago Public League's Blue-West Division. Lucas, 34, played two years in the International Basketball Association, a now-defunct independent minor league, before a knee injury ended his playing career. He returned to the Wells basketball program in 2003 -- he really never left, he said with a laugh -- and worked as an assistant to longtime boys' coach Charles Brown. After proving his mettle in two seasons coaching the girls' varsity team -- winning the Blue-West championship his second year -- Lucas was given the opportunity to turn around the boys' team. Lucas said he learned a lot from Brown, his former coach, which he has translated into his coaching style. "One thing I learned was to be understanding with these kids as far as [their commitment]," Lucas said. "A lot of these kids hadn't been committed to anything in their lives until they found someone who was in their corner." Lucas -- no relation to the famous NBA father-son duo of the same name -- said he was a bit of a hot-head himself when he graduated from Wells in 1995 and headed to Kennedy-King College, the city community college where he played for two years. But he's grown up a lot since then. At a team practice last fall, his booming voice commanded attention from his players. He was very active throughout, running laps with his players to begin practice. He used running drills and was adamant on his team correcting its mistakes at the free throw line. For one of the team's practice drills, Lucas had his team run the length of the basketball court and back each time a player missed a free throw. That meant eight sprints, as only three players hit their shots. William Crowder, who played for Wells last year as a senior, said Lucas and his predecessor have very different coaching styles. Brown was a laid-back coach who yelled at times, Crowder said, but he often backed off with little discipline. "John Lucas stays on you about practice, about getting better. If you don't grind, then you don't want to be here and play ball." Lucas not only gets on his team about practicing, staying disciplined in a game and being unselfish, but he also gets on his players about their grades and monitors their academic progress. His seriousness about his players doing well in the classroom shows in his efforts to make sure the boys get to college. Wells (936 N. Ashland) earned a Chicago Public Schools rating of "below average" for its 2010 performance. "As I go through the school, I see lots of kids who are here for their fifth year and I get tired of seeing that," Lucas said. "While I got their attention on the basketball court, [I try] to see if I can turn their attention to their grades. I'm going to try to do what I can to get them into college." Joshua Murphy, one of the players, said having a coach care about both basketball and academics motivates him to work harder on his schoolwork. "I don't want to miss no games," Murphy said. "I try to keep my grades up so I can play in every game." On the court, Lucas tries to kill any excessive swagger his players might to carry with them from game to game. As a former basketball player who once thought he knew it all, Lucas knows cockiness can do more harm than good. He tries to teach his players the same philosophy. "He told me I come on the court and act too confident in my game," Crowder said. "He made me better myself to better others." Murphy said he has gotten the message as well, realizing overconfidence and underestimating an opponent can hurt his play and the entire team. Lucas also takes his players to see parts of the city they've never been. Most of the players, he said, rarely leave their own neighborhood, but now they have a chance to be part of a team, something bigger than themselves. "The street is big to them; being a part of something isn't that big," Lucas said. "I want to be a difference maker. 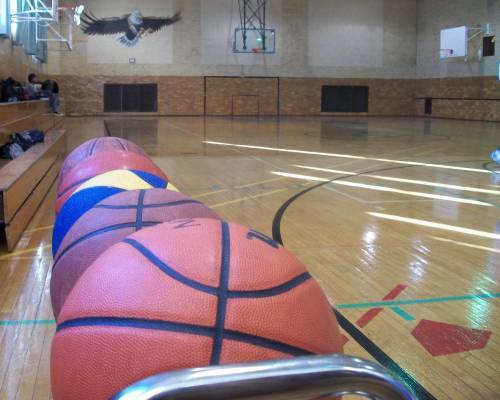 This is a tough world, maybe [the basketball court] is where they need to get [their anger] out." Check out John Lucas and the Wells boys' basketball team in action this afternoon against Perspectives-MSA and star University of Kentucky recruit Anthony Davis. The game starts at 4 p.m. at the IIT Keating Center (3040 S. Wabash).